NS operates in the public transport sector. 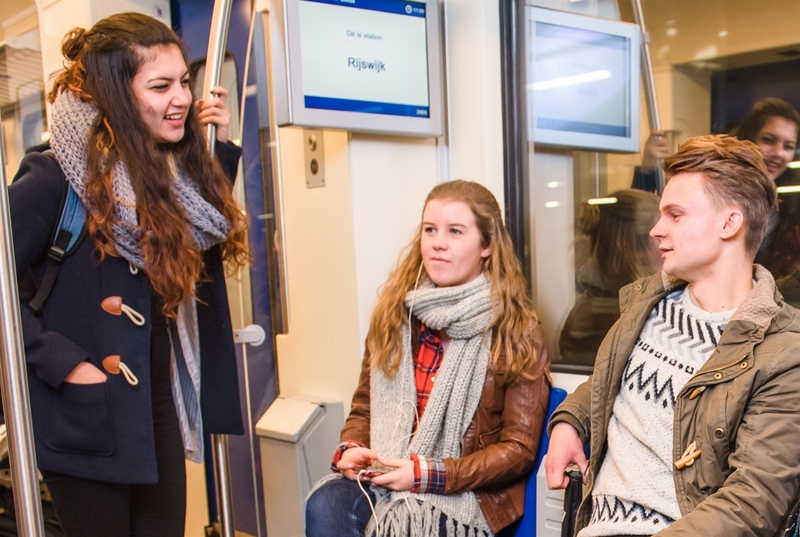 We encourage the use of public transport and we keep the Netherlands moving. Our activities are always centred on our passengers and we are working to make their door-to-door journeys as pleasant and as sustainable as possible. Our 34,378 staff (30,945 FTE) in the Netherlands and abroad are working every day on reliable passenger transport, comfortable trains and buses, and world-class stations. Together with our public transport partners, we are working continuously on improving the door-to-door journey. The operations of NS cover both passenger transport and station development and operation, with combined revenues of €5 billion. More than 88% of that comes from passenger transport. Our activities abroad earn money, teach us how we can improve our services, and prepare us for the possibility of further deregulation of the railway market. In this way our activities abroad are contributing to the NS company objectives. NS Operations is responsible for rail transport on the Dutch main rail network, including the HSL South. NS Operations is the most visible part of NS. Maintenance, repairs and cleaning of our trains in the Netherlands are covered by NS Operations, as well as modernising them and making them more sustainable. Commerce & Development handles the development of train services in the medium and long term, as well as the sales and service activities associated with domestic and cross-border train transport. C&D sells tickets and manages the customer services. This same business unit also covers stakeholder management, running the main rail network franchise and the regional boards. NS Stations works to create a good network of 410 stations, large and small. Together with ProRail, the authorities and all the carriers, NS Stations aims to make the journey and the time spent in and near the station as pleasant and comfortable as possible. Over recent years, NS Stations has worked with ProRail and various municipalities to rebuild major stations, emphasising that the stations are ‘clean, complete and safe’. All activities – shops, services, facilities and transfer businesses – must make a contribution to the passenger’s perception of the station and the journey. Abellio, which was founded in 2002 as NedRailways, obtains and operates public transport franchises aimed at consolidating the position of NS in the European market as it becomes more deregulated. The company is now one of the largest railway operators in the United Kingdom and it carries 1.2 million passengers a day in the Netherlands, Germany and the United Kingdom (including joint ventures). Abellio currently has rail and bus transport operations in the United Kingdom (Greater Anglia, Merseyrail, ScotRail, Abellio London & Surrey) and in the Netherlands, through Qbuzz buses and trams. Abellio runs five train franchises in Germany (Emscher Ruhrtal-Netz, Ruhr-Sieg-Netz, Der Müngstener (S7), Saale-Thüringen-Südhartz-Netz and Niederrhein Netz).